If you know your size, that's fine. However I have found that most people have a problem area e.g. 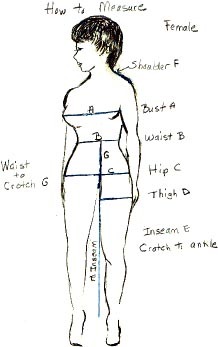 long, short waisted, narrow or wide shoulders, that is why I suggest you have a friend measure you to get a proper fit. Keep your measuring tape snug but not tight. Never use a string to measure because the measurements are never accurate. Let me know your problem area if you have one. With forearm parallel to chest, measure from back center of neck around the elbow to wrist bone. 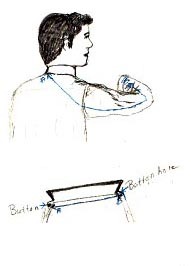 Take a well fitting shirt and lay the collar flat and measure from center of neck button to button hole.